Outdoor belt barriers are used to manage and control high volumes of queues of people and are specifically designed for outdoor use. They help control the flow of people and maintain calm and order by carefully guiding people in the direction they need to be moving. Where can Outdoor Belt Barriers Be Used? 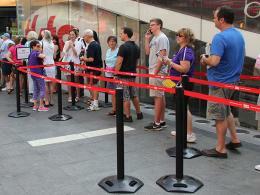 Outdoor belt barriers can be used at outdoor occasions where the flow of high volumes of people needs to be controlled. 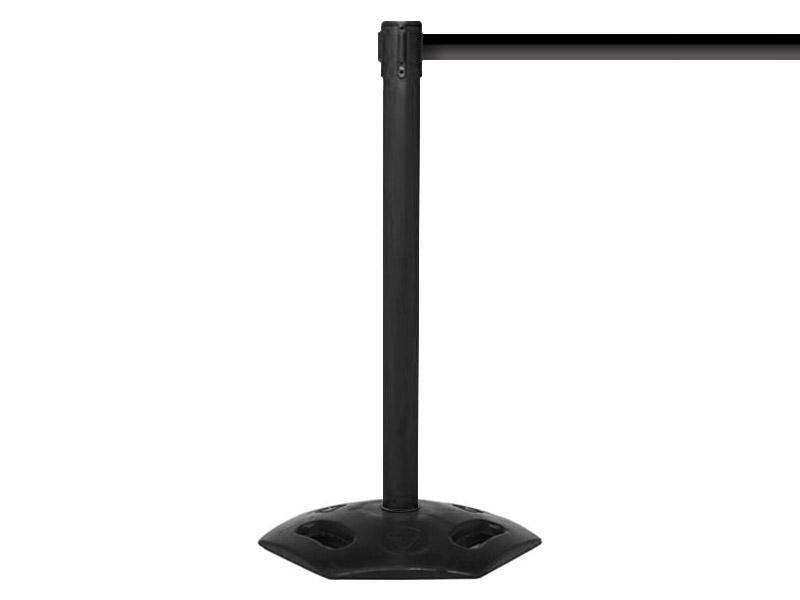 They are particularly helpful at entrances to events and can be used at sports stadiums, outside clubs and bars, at outdoor festivals and any place outdoors that requires movement of people to be organised. Outdoor belt barriers may be used by anyone who would like to effectively control movement of people, particularly in a busy location. They may also be used by anyone who would like to guide the flow of people in the right direction so as to prevent people from going the wrong way and causing confusion. 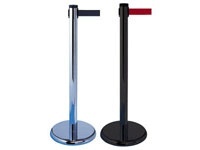 These outdoor belt barriers are available in a red and white chevron belt, black and yellow chevron belt, black belts, and red or yellow belts and with a choice of barrier message such as “Authorised Access Only” or “Caution – Do Not Enter.” The posts are powder coated and stainless steel; are 1015mm high and are available in red, black or yellow. The belt itself is 50mm wide and 3.4m long. The whole outdoor belt barrier weighs 9kg. 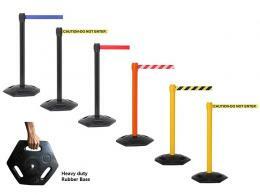 These outdoor belt barriers come with a 3 year warranty from The Workplace Depot. Free delivery takes up to 3 days and returns on items deemed unsuitable by the customer are welcome.